Bundle up and stay cozy in this bulky cabled cowl. Cross over design buttons up and overlaps for an extra layer of warmth. Modern chunky style with large wooden buttons. 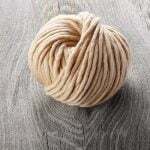 Breathe in the warmth and comfort of wrapping yourself in a warm natural fibre. 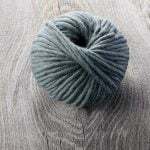 Cowl is made in Sugar Bush Yarns Chill a luxurious plush super bulky merino.